As Westlife comes to the end of the road, its lead vocalist Shane Filan is reportedly in huge debts. His property company, Shafin Developments Ltd is facing a court battle over financial troubles and now owes around £4 million (RM20 million). According to The Sun, Shane has reportedly applied for legal agreements in London this week in order to set up a repayment plan. 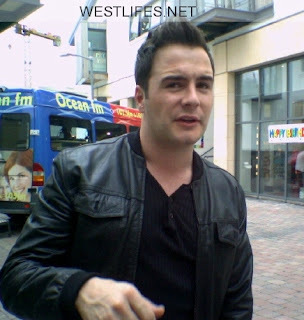 A source said: "Shane was desperate to launch himself as a property tycoon when Westlife started to wind down. But it has backfired massively. The property company is saddled with millions of debt. "It's been disastrous timing for him to invest in property amid a global economic crisis. He's in dire straits." The company was said to be planning to build a development, community centre, office units, private clinic, gym, creche and 68 homes in Sligo, Ireland, but none have surfaced.